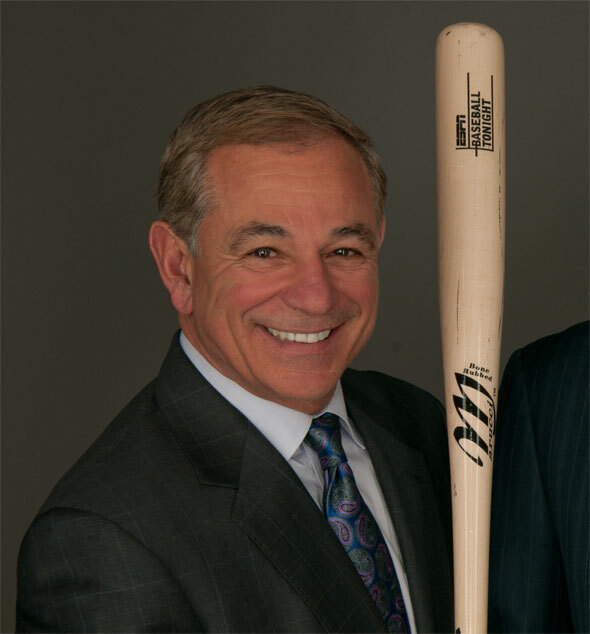 Bobby Valentine is the new manager of the Boston Red Sox after a two month search. It seemed that new General Manager Ben Cherington had favored Dale Sveum to take over as manager from Terry Francona, but management were not sold on Sveum and new Cubs General Manager Theo Epstein swooped and nabbed Sveum. Many baseball analysts have been clamoring for Valentine to rein in the Sox clubhouse and I agree. Francona has always been and will always be a player’s manager, but the current roster of players do not have the personalities that mesh well with a player’s manager. Players like Josh Beckett and John Lackey, amongst many others, took advantage of the leeway Francona gave them. It’s time for a hard-nosed, disciplined manager to set some ground rules. The players are certainly embarrassed by the September collapse, but I want to make sure that the antics in the clubhouse will stop and Valentine will certainly do that. After that, the Sox face a lot of tough situations with their own free agents. The Sox offered arbitration to both Dan Wheeler and David Ortiz. Big Papi had a tremendous season last year and would be a good fit in the Sox lineup next year. However, he wants multiple years and at his age, that just not is worth it. The Sox overpaid last offseason to sign Ortiz to just a one-year deal and it certainly worked out well. I expect and hope Cherington does so again. As for Wheeler, I’m surprised he was offered arbitration and would not be surprised if he accepted. He struggled most of last season and would not seem to have a guaranteed spot on next year’s squad. Next up are the Sox free agents, specifically Jason Varitek and Tim Wakefield. As much as I have been a big fan of ‘Tek throughout his entire career, this is the year to part ways. It’s certainly sad but in Jarrod Saltalamacchia and Ryan Lavarnway, the Red Sox have two young, competent catchers that need innings to improve. Neither will develop more in the minor leagues and that just does not leave Varitek a spot on the roster. As for Wakefield, you can never have too much pitching and with the lack of options on the free agent market, Wakefield is a good option. He’s cheap, a team player and you know what you’re going to get. He certainly should not be slotted into the rotation but can eat up innings in blowouts out of the bullpen. And maybe, just maybe, he can set the Red Sox all-time wins record. The most important position the Sox have to fill is the closer role, vacated when Jonathan Papelbon signed with the Philadelphia Phillies. Luckily, the Sox have an abundance of free agent closers to choose from, though none as good as Papelbon. Heath Bell, Jonathan Broxton, Joe Nathan and Francisco Cordero are all free agents and would be serviceable closers. I’d go after Bell and have him and Daniel Bard compete for the closers job in spring training. Of course, Bell will likely not want to be a setup man so the Sox should be prepared to offer any of those four the chance to compete with Bard. In other words, Bard should have a chance to become the next closer. He’s been a tremendous setup man for years and deserves a chance to prove he can be the club’s long-term solution in the ninth inning. Bard is entering spring training with a chance to become a starter, something he has wanted for quite a while. In response to that, the Sox acquired Mark Melancon from the Houston Astros for Jed Lowrie and Kyle Weiland. I’m a big fan of this move. While Melancon is not an elite closer, he does have experience in the role and is just 26 years old. On the other hand, Lowrie and Weiland never had a certain spot on the roster. Whether Melancon will be the closer is still unknown and I’d like to see the Sox sign or trade for another elite reliever to at least challenge him for the job. Update: Scratch Broxton off the list. And Heath Bell. And Joe Nathan. As for the remaining position players, only right field is up in the air right now. Youkilis, Scutaro, Pedroia, Gonzalez, Crawford and Ellsbury will all be back along with the two catcher’s mentioned before. Ryan Kalish probably needs some more time at AAA before he’s ready to take over in right so the Sox should look for a short-term replacement. Carlos Beltran’s name has been tossed around a bit though I’m certainly worried about his injury. My favorite choice is Michael Cuddyer. Cuddyer is solid defensively and has a decent bat. Most importantly, Cuddyer is right handed and Beltran is a switch hitter. The Sox certainly needed a right fielder who can bat from the right side of the plate to offset the many lefties in the lineup. Finally, we turn to the rotation where Beckett, Lester and Buccholz are all top-quality pitchers, but big questions remain in the four and five slots. I’d give Alfredo Aceves a chance to start after he had a great 2011 season. As for the final spot in the rotation, I’d turn to the free agent market. I would have liked to see the Sox look at Bruce Chen but he just resigned with Kansas City. The Sox should avoid both C.J. Wilson and Yu Darvish as each has too many question marks around it. I’d bring in a couple of low cost, high reward players like Brandon Webb, Edwin Jackson and Chris Young. The Yankees won big with Freddy Garcia and Bartolo Colon last year and with a lack of quality starters available this year, the Sox should look to do the same. With Bard entering spring training as a starter and Aceves in the mix, the Sox have a couple different options in the rotation. But they still need at least one more (hopefully two more) starter for when injuries inevitably strike. Roy Oswalt is apparently looking for a one-year deal. Oswalt is no longer the ace he used to be, but he’s certainly a capable number four starter and that’s what the Sox need. And with just a one-year deal, the Sox won’t lock themselves into any long-term deals. This is indeed a wild conspiracy theory.It’s greatest flaw is this: If the labour-party wnated to cash in on an attempted assasination, why didn’t Shimon Peres, who took over the leadership of the party and the goverment hold an election after a succesful assasination? He would have got 90 percent of the votes.Instead he waited several months, and lost narrowly to Likud.Please, I love his blog. Don’t turn it into some Oliver Stonish evhanteing-is-r-coyspiracy thing. I implore you!